Fortunate Ones is Newfoundland’s JUNO-nominated duo Catherine Allan and Andrew James O’Brien. Known for dynamic live performances, effortless union of voices in harmony, and anthemic melodies — they embody a wide-eyed energy, deliver messages of reflection and optimism, have an earnest mission for connection, and are endearing audiences across Canada and beyond. Their new album Hold Fast is out now. 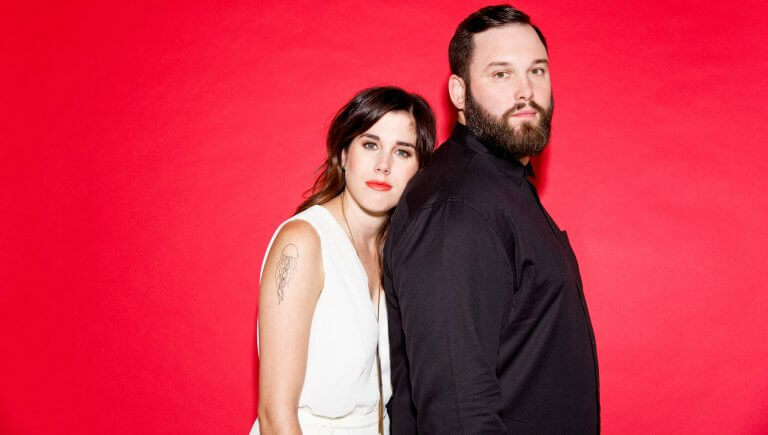 Over the last five years, the duo has played over 300 shows and garnered the attention of Prime Minister Justin Trudeau when he singled out a track from their 2016 Christmas EP All Will Be Well,as one of his favourite listens for the holidays. Their debut album, The Bliss was nominated for a JUNO Award, garnered two #1 singles on CBC Radio 2’s Top 20, won the 2016 “Rising Star” ECMA, the 2015 “Vocal Group” Canadian Folk Music Award, and four 2015 Music Newfoundland and Labrador Awards. Hold Fast is out now on Old Farm Pony Records. The album was produced by Daniel Ledwell and features writing collaborations with Alan Doyle (Great Big Sea), Tim Baker (Hey Rosetta! ), Meg Warren (Repartee), Jim Bryson, Good Lovelies, Alexa Dirks (Begonia), Mike Belyea (Jenn Grant/David Myles), and Kinley Dowling (Hey Rosetta!). “…you won’t be able to resist…” – Exclaim!